Partly cloudy skies early then becoming cloudy with periods of rain late. Thunder possible. Low 61F. Winds S at 10 to 15 mph. Chance of rain 90%.. Partly cloudy skies early then becoming cloudy with periods of rain late. Thunder possible. Low 61F. Winds S at 10 to 15 mph. Chance of rain 90%. 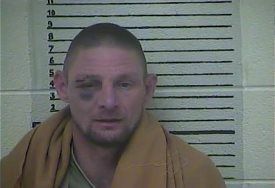 Clay County Sheriff Patrick Robinson is reporting that on April 13, 2019 at approximately 3:00 AM Clay County Sheriff Deputy Brandon Edwards arrested Terry Wagers, 39 of Rocky Branch Road and Angela Marcum, 41 of South Highway 421. The arrest occurred while patrolling when Deputy Edwards conducted a traffic stop on a gold Toyota for vehicle infractions. Upon making contact with the driver, there was a strong smell of alcoholic beverage emitting from inside the vehicle. Deputy Edwards conducted field sobriety tests at which time the driver was placed under arrest. Through running the information of the driver with Clay County Dispatch it showed the driver did not have a valid driver license that it had been suspended. The female passenger was also arrested for being under the influence. 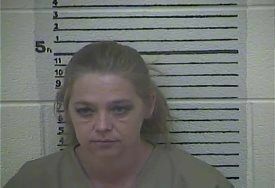 The photos attached are courtesy of the Clay County Detention Center.